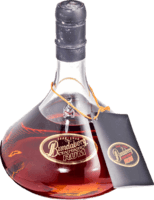 Have you found an online vendor selling Bundaberg Small Batch Vintage Barrel? I had an amazing opportunity to try a dozen different unopened Bundaberg's with my Aussie colleague last year and the Small Batch Vintage Barrel is one smooth rum. Has a lot of whisky like flavor profile and a bit of a afterburn at the end, but out of all the Bundy's I had a chance to try out, this was one of the smoothest of them all. Very close to the 10 year old Bundy in flavor profile. I get the port taste from the barrels. It's about the only thing that keeps me interested. It's not terrible but it's not nice enough to drink neat and too expensive to mix. It's joins the ever growing list of rums these guys are pushing out as part of a seemingly never ending market push. Save your money and buy the solera. It is exceptional and theses all batches really aren't that small. This is a very nice rum , 8 yrs old then finished in 100 yr old port barrels. Very sweet but not artificial. A bit spicey with honey taste in the background , excellent long finish , a big port influence which I like , 7.5 overall.